Simple, easy-to-use amplified telephone meets all your needs. Up to 55+dB amplification volume and digital tone control sliders. Jumbo-sized keypad has large, easy-to-see numbers with Braille. Super-loud ringer, visual flasher, and audible off-hook alert. Programmable one- and two-touch memory buttons. Hearing-aid compatible with output jack for assistive devices. High-Definition Sound (HDS) technology for unmatched clarity, a new standard in amplified telephone technology. Amplifies incoming sound up to 55+dB, the most powerful in its class. Jumbo keypad with large print and Braille numbers makes it easy to see and dial. Selectable Digital Tone Setting lets you boost the speech frequencies you can't hear well, for enhanced understanding. Advanced Digital Sound Processing (DSP) technology eliminates virtually all unwanted distortion, echo effects, and static commonly found in ordinary amplified phones. “Off-hook alert” provides audible and visual warnings to notify you of improper hang-up and prevent accidental blocking of incoming calls. Three (3) one-touch and ten (10) two-touch programmable memory buttons. Super-loud 95+dB ringer with adjustable volume and tone, plus two bright visual flashers (front and side) for incoming call notifications. Battery backup for power outages (batteries not included). 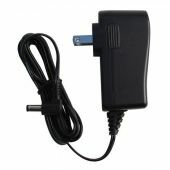 Includes 3.5 mm jack for neck-loop, tele-coil, and other assistive accessories. Q: What do the different TONE settings on the HD phones mean? Amplifies the low frequencies making the lower pitched sounds easier to hear. This setting is for people with low-frequency hearing loss. Amplifies all sound frequencies equally, making every word full volume and natural sounding. This is the common setting for most people. Boosts the middle to high frequencies, making each word more intelligible. This is for people with mild high-frequency hearing loss. Amplifies the high frequencies making high pitched sounds more distinguishable and easier to understand. This is for people with severe hearing loss and for those with difficulties hearing high pitch sounds. Q: What is the advantage of these preset TONE SETTINGS? A: Unlike the ordinary sliding tone control, this is far easier to use and more accurate. That is, once you've chosen a setting that suits your hearing the best, you will always get the same clarity and results when you return to the same setting. Q: On the HD-60/60J, why is the AMPLIFIER button flashing? A: The AMPLIFIER button light was designed to serve as an "extension phone in-use" indicator. When it is flashing, it means someone is using an extension phone in the house. If you use this phone as an extension of a business phone system, this button will also flash continuously to indicate that it is being used in a business phone system. Q: How does the HD-60/60J "off-hook" warning work? A: If you do not hang-up properly after a call, your phone remains "alive" and no calls will be able to come in. Your telephone service provider will be able to detect this and will send you a loud "howling" tone to warn you. When the HD-60/60J recognizes this "howling" tone, it automatically activates its loud audio alarm and the flashers to attract your attention. The warning will continue until you hang up the phone properly or until the telephone service provider cuts off your line to stop sending the howling warning tone. A: Switch the Auto-Amplifier switch to the ON position on the bottom of the base. Q: Can I change the on-hold music? A: The music is pleasant but it is set, and cannot be changed. Q: What if the handset is too loud for my family members? A: Set the Auto-Amplifier switch to the OFF position on the bottom of the base. Press amplify button to turn on the amplifier when needed. A: Turn on the T-coil in your hearing aids and speak normally. Q: Why is there static noise on the line? A: If you have DSL service on your phone line, install a DSL filter on the phone jack where the phone is connected. DSL filters can be purchased at RadioShack, Best Buy, Walmart and other retail outlet stores with telephony products. Q: Why do I need to put batteries in my phone? A: Batteries are optional. They provide back up during a power outage situation. If there are no batteries, the phone will act as a standard phone, but with no amplification during a power outage. Q: Why is there no dial tone? A: Please verify that both phone cord and handset cord are plugged in properly. Q: Why is there no effect when I move the tone control? A: For the tone control to be effective, the AMPLIFIER must be turned “On”. Q: I have a new HD phone, I plugged it and it gets electricity, but no dial tone. A1: If it’s a business line with magic jack or digital, it won’t work. It needs to be analog. A2: Check handset; blow into the mouthpiece, if you get feedback, then the handset is ok. If not, swap out the phone line cord with another cord to see if it’s bad. If it still doesn’t work, make sure you are using an analog line. Q: I hear a humming noise from the phone when it’s not in use, what is it? A: If you have DSL, make sure you have a filter. If you have a filter, unplug the DSL line and see if that’s the issue. If not, the phone may just have a small humming noise that is generally only heard by someone with very good hearing. Q: I’m getting feedback on the receiver. A: Turn down the amplified volume 1 or 2 notches and keep the phone very close to your ear. Q: I get a dial tone, but none of the features work on the phone (speaker, amplifier, one-touch memory). A: Make sure the A/C adaptor cord is plugged into the wall. Q: I can’t use the number pad for calling in my prescriptions. A: Your phone is set on pulse. You need to change it to Tone on the side of the phone.